Im thinking that for the rear I can get away with a 450 or 250 CRF hub with warp9 rims and laces. However I am stumped as for what to do with the front. 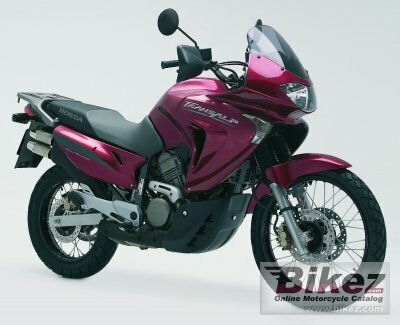 I want to do a Motard/Tracker/Cafe 80's style streetfighter to my bike. I am definately going to do inverted forks up front but I am scared to ditch the dual disc for a dirtbike single disc rotor setup. Who all makes a hub setup thats wired with dual disc that will work on the 2000 F4? Am I the only user that has looked into doing this? Frankly, w/ most of your braking being up front, I don't know why you'd want to reduce your stopping power. There's a reason there's a dual-disc setup on an F4/F4i. I'm all for modding but not when it most likely would result in a decrease in safety. Ya I think getting rid of the dual disc setup is a bad idea, you know its sort of like lets take all the left brake rotors off a car and see how it does. I am scared to ditch the dual disc for a dirtbike single disc rotor setup. Who all makes a hub setup thats wired with dual disc that will work on the 2000 F4? Alright so now that its been worded twice who all makes a dual rotor laced hub that has a similar size axle for out bikes? ... Who all makes a hub setup thats wired with dual disc that will work on the 2000 F4? ...who all makes a dual rotor laced hub that has a similar size axle for out bikes? I'm not aware of anyone that makes a specific application like that for the F4 model. Could something be modded & adapted?...maybe, maybe not. Would those mods be just as safe & reliable as the factory Honda set-up for the F4?...maybe, maybe not. <--- This is where I was going w/ my post & recommendation but didn't complete the thought. Sorry I didn't elaborate further & wasn't clearer on that. Perhaps you'd be better served in the *stunters corner* section of the forum. Also, you could search out other stunter & street-fighter boards & ask them what experiences they've had w/ similar. Perhaps you could get the recommendations you need from them. I hope you find what you're looking for...& hope it works for what you want. From this & your other posts, it looks like you have some majorly ambitious modifications in store. I'd like to see what you come up w/ & welcome a how-to(s) on what you decide to do. Hmmm well it seems that the mods that i am looking to do are one of a kind to this forum. Might havw to jump to a flattracker/motard forum for more information. I know these hubs exist and probably will have to get a custom axle milled but was hoping i could find a honda specific setup. There arent any 80's sport honda's with laced and dual rotor setups off the top of anyone's head? Last edited by tripicana; 10-01-2010 at 01:29 AM. Awesome find man but I did some soul searching on google and came up with RAD Manu HEX hubs. Interchangeable sprocket and rotor mounts for the rear hubs. So I will be running rear hubs by them for both the front and rear. Need to know what size axle diameter the 2000 600 F4 has. I found through google that the 954 front end has a 20mm axle diameter up front. Need this info for order the correct bearings for these hubs.